We're excited to bring you our second mid-month reveal. 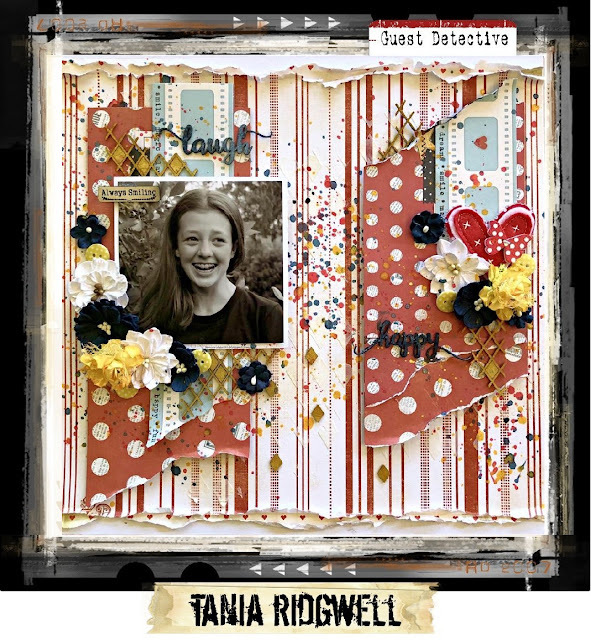 You can check out our first reveal here and our Cold Case reveal here. All three of our challenges stay open for the entire month. This month, we have eight generous sponsors. Click here to read more about our sponsors and the prizes they are donating. 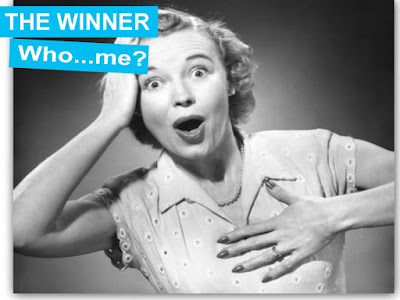 Winners will be selected randomly from all of our players, with a few exceptions where sponsors have asked us to choose from certain geographic regions. 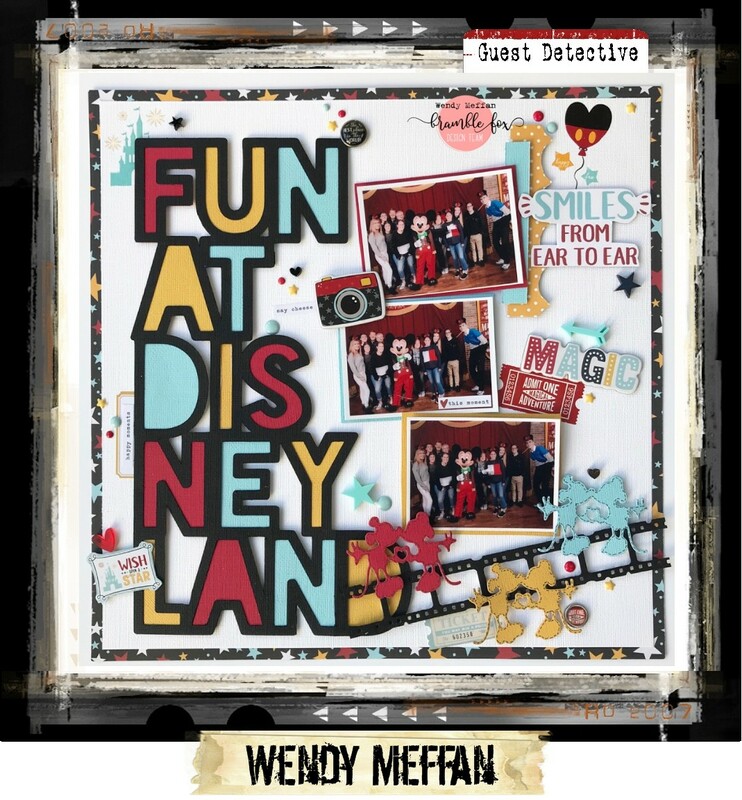 We present our March Case Files. 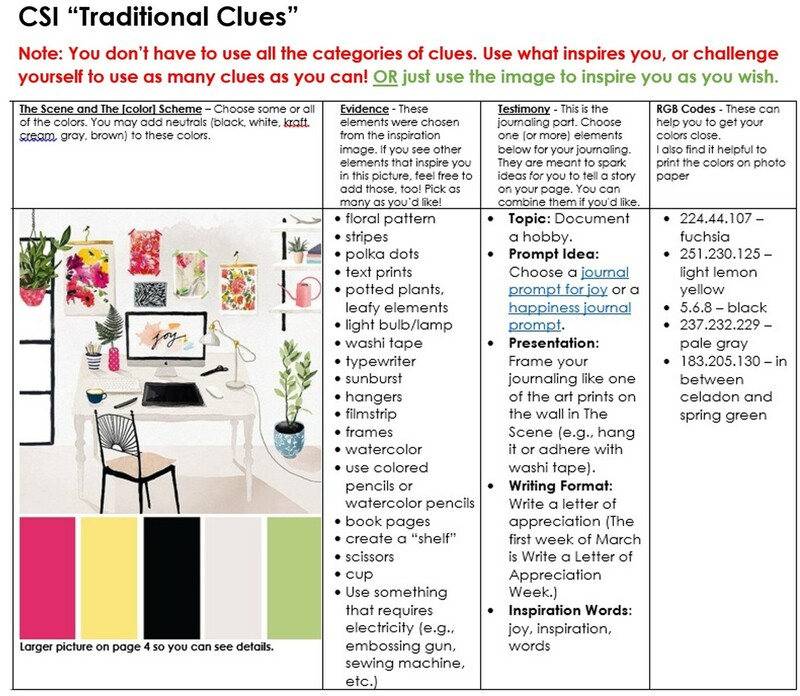 Traditional clues can be found at the bottom of this blog post. Case File No. 275 celebrates National Words Matter Week with this delightful scene from Mi Casa no es de Munecas. With the March winds blowing, Case File No. 276 celebrates National Kite Month with this adorable Scene found at Pepper Lu's etsy shop. 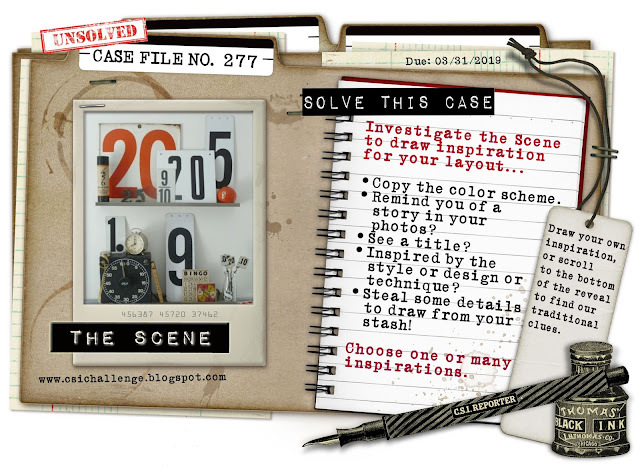 The Scene from our awesome March Cold Case was found on the Urban Comfort blog. 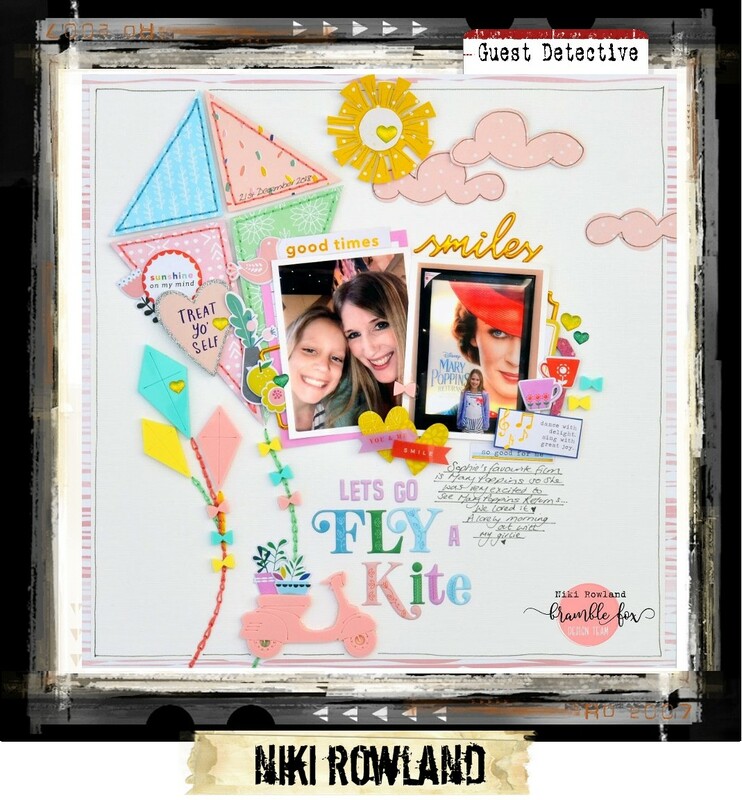 We are so honored to have the Scrapmatts and Bramble Fox design teams serving as Guest Detectives this month! You are sure to be inspired by their work! 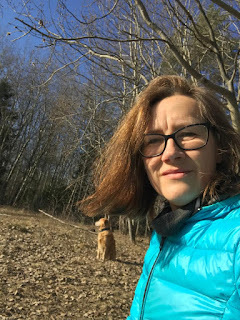 My name is Gunilla Rudander, 53 years old, living with my family in Sweden. I started to scrap about 12 years ago. Currently I mix layouts with Project Life, because of my love for documentation and many photos. I like the clean style, but I also want a lot of details at the same time -which could be a challenge! But that's why I love CSI so much as I get some help with the fantasy and inspiration to use both new and old stuff. And now, are you ready for some serious inspiration? Here's what our design team and guest designers created with Case File No. 276. Be sure to check out the inspiration from our other Case Files (see links above). 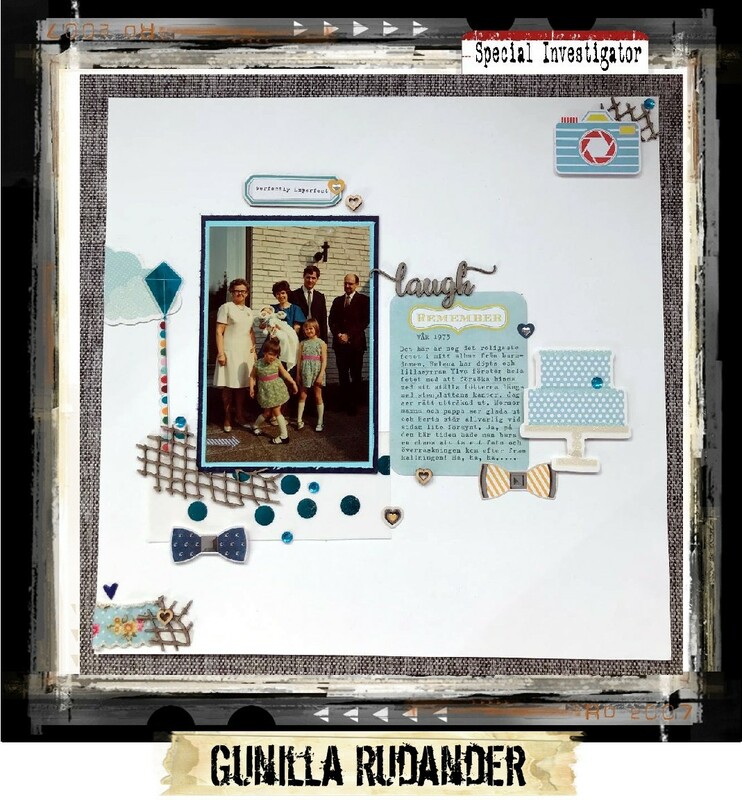 Special Investigator Gunilla rocked the Case File--she even made two layouts! 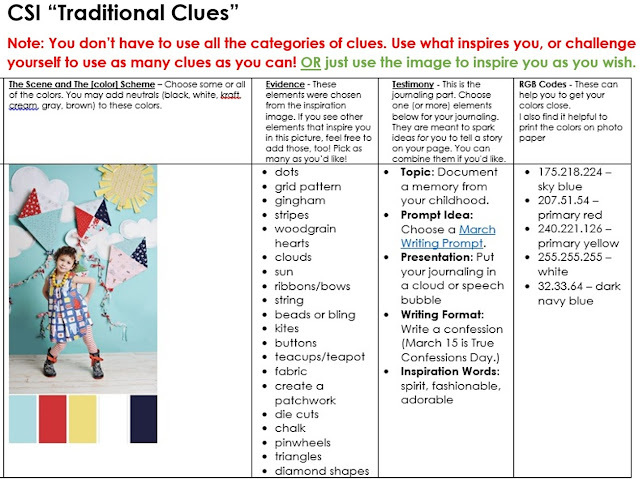 How Gunilla solved the Case: I was inspired of one of the march writing prompt "Ten things I love about spring" and then the evidence was: dots, clouds, sun, teacup, die cuts, pinwheels. How Tania solved the Case File: I have used dots, strips, buttons and diamond shapes on my page. We trust we've provided enough clues for you to solve the Cases! You have until Sunday, March 31, 2019, to solve this case. We can't wait to see what you'll create! We'd like to thank everyone who participated in our challenges last month, and a HUGE thank you to our generous February sponsors! 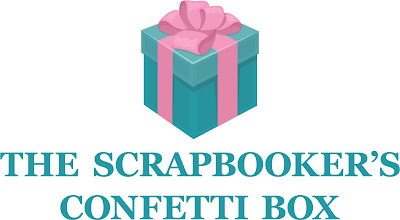 How would you like to use up some of your older scrapbook stash? CSI's Cold Case Files are designed to get you digging through your old stuff. Like our other two challenges, the Cold Case File is also open all month long. You can see the other Case Files here. There will be a full reveal of design team's and guest designers' creations for Case File No. 277 on March 15. 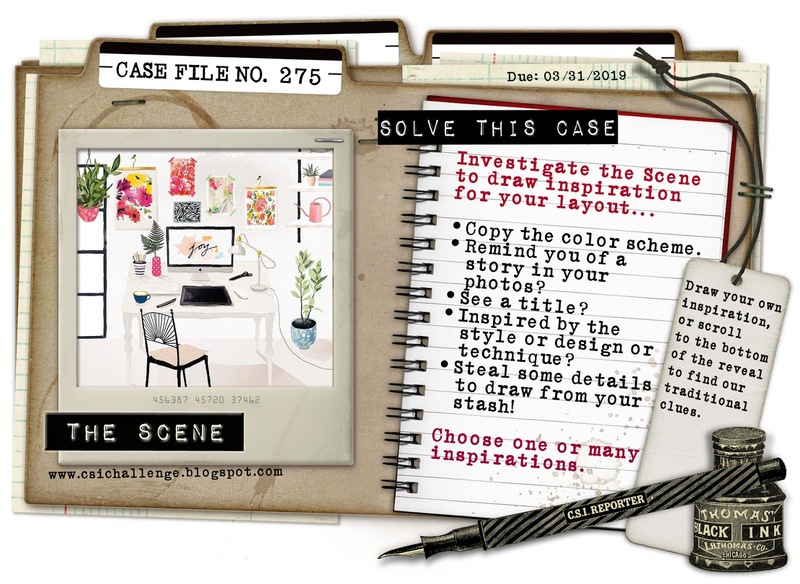 We present our new bonus Cold Case File, which is designed to get you using your old stash. The beautiful Scene was found on Urban Comfort decorating blog. 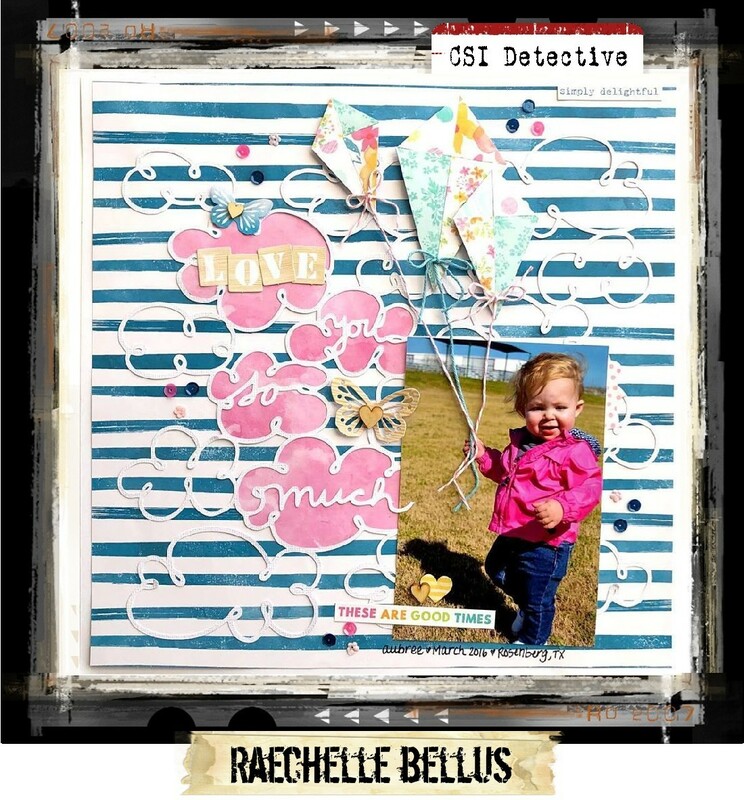 We are so honored to have the Bramble Fox design team serving as Guest Detectives this month! You can see their inspiring work with Case File No. 275. And now, are you ready for some serious inspiration? 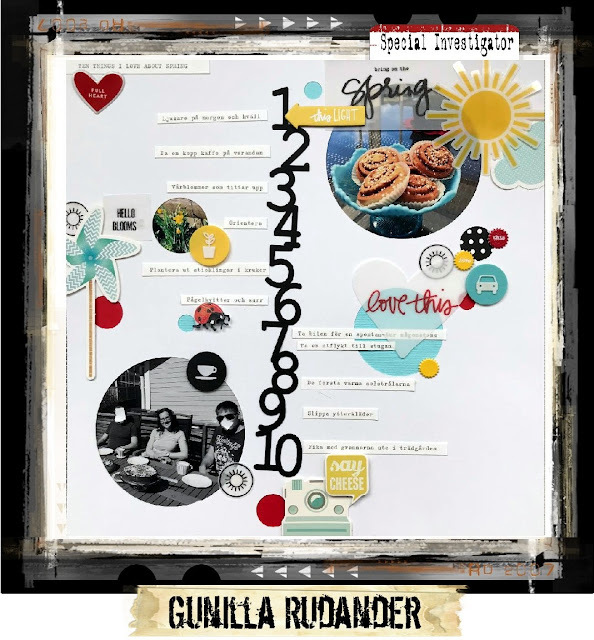 How Gunilla solved the Cold Case: I got inspiration from all the numbers as I love numbers, and in the design clue I chose to design the page like shelves, and also created a stamped background with numbers and finally I used neutrals with pops of red. The Product clues was to use up a bunch of both old and new numbers, clock parts and old ruler-tape. Fun to know: In 2017 during March, I documented every day at 7.30 so that’s the background to this LO. How Debbi solved the Cold Case: First of all, I have to point out that awesome title piece in the bottom left corner. 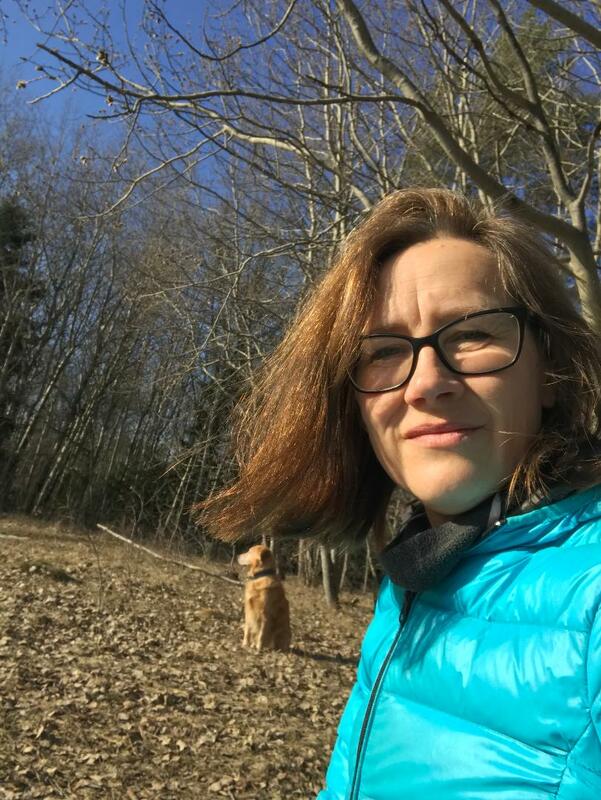 It's a Perspextive, from one of our March sponsors, Bramble Fox. I recently joined their design team. Bramble Fox has a monthly Stash Smash challenge, and this month's happened to coordinate especially well with our Cold Case, and everyone knows I love a good challenge, so I combined both! 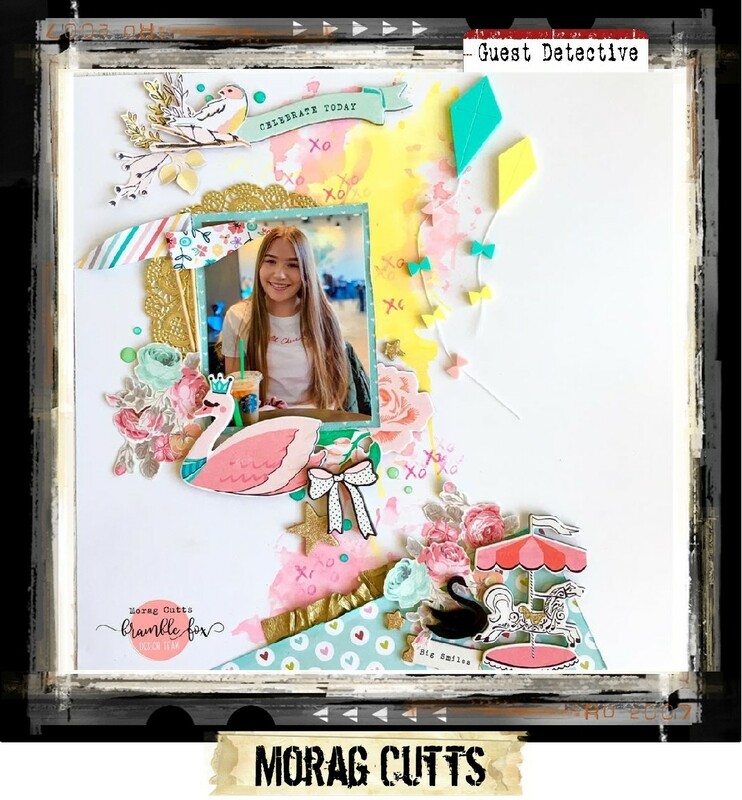 The Stash Smash challenge is to use clips and to document things you love. My journaling pulls out and lists a bunch of things I'm loving right now. I was so happy to use up some of this ancient stuff, especially all the clips--thanks for that prompt because I have a gazillion clips! 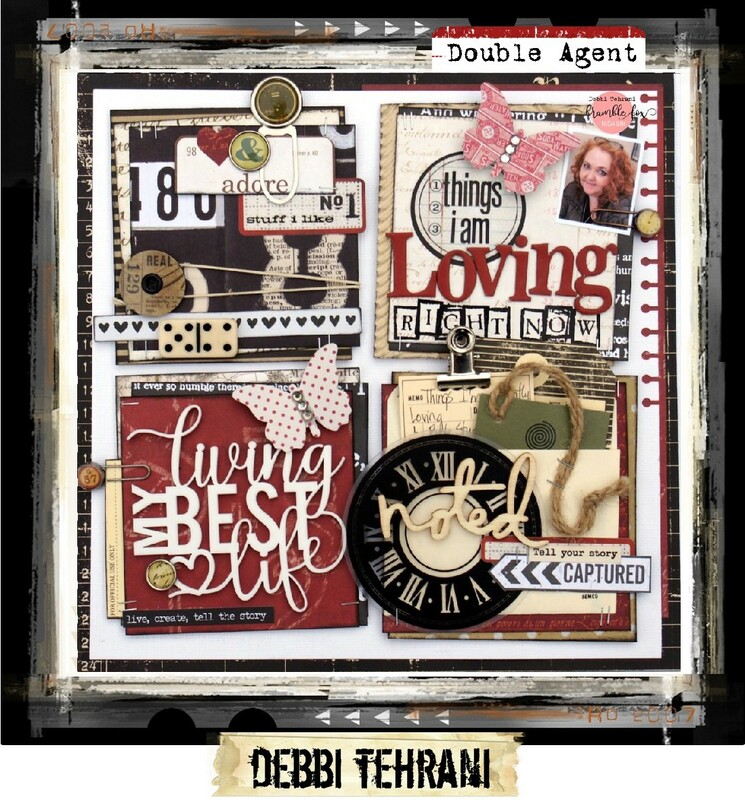 How I solved the Cold Case: I used some of the old metal accents; patterns/embellishments with text and numbers; vintage style stuff; 7gypsies papers; clip things onto the page; neutrals with pops of red. 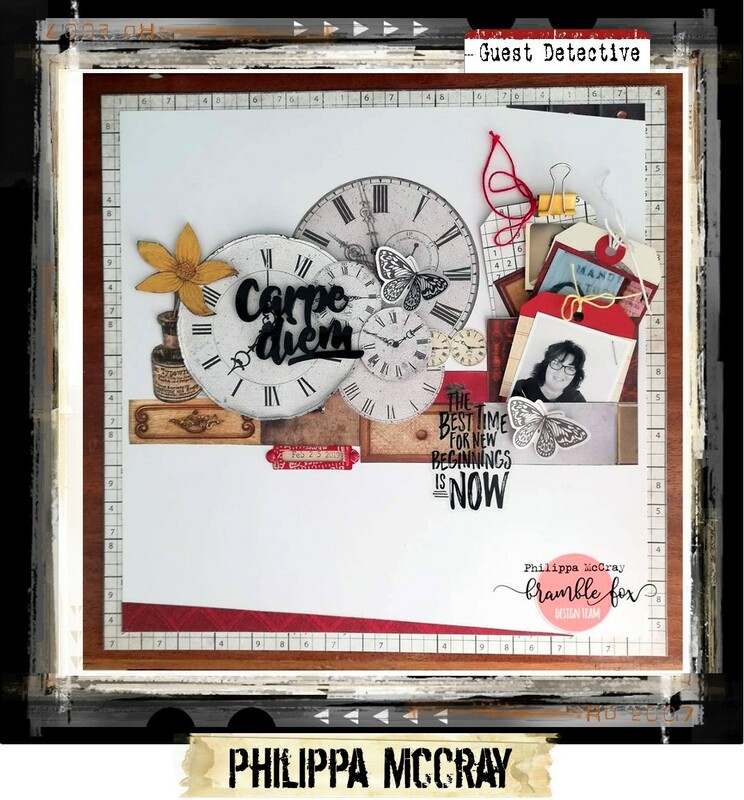 How Philippa solved the Cold Case: I took the clocks for inspiration and used the BF Carpe Diem perspextive I'd been hoarding. 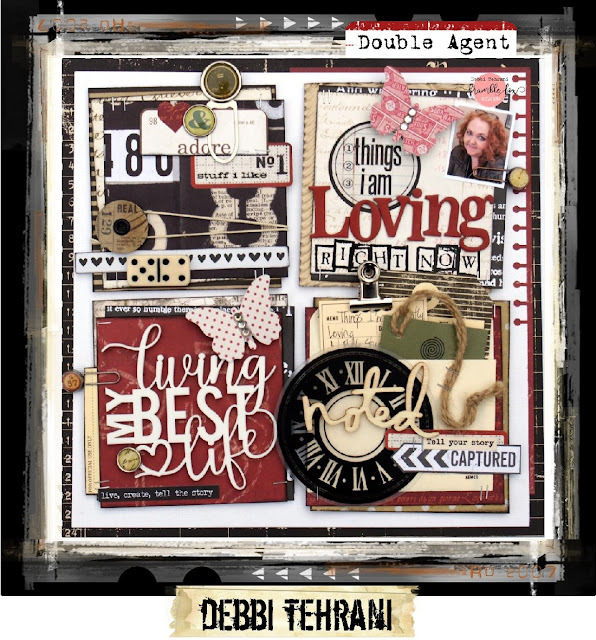 I found papers from the old Timeless collection by Kaisercraft, added a metal accent and documented three stages of my life on hidden tags. The clock faces are all at different positions to represent the topsy turvy life I've led and will no doubt continue to lead!! 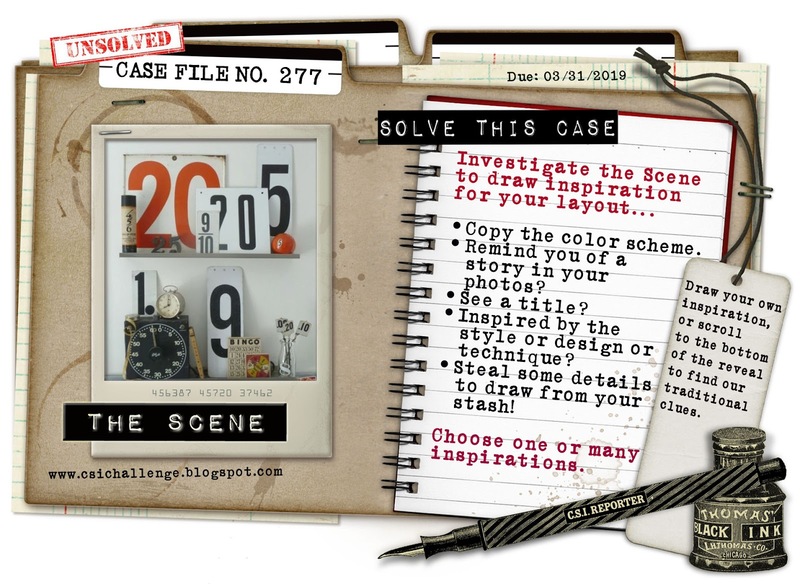 Here's what our design team created with Cold Case File No. 275. How Lisa-Marie solved the Cold Case: I went with neutral colours (grey, black, brown, cream) and then added in pops of red, yellow and rust. 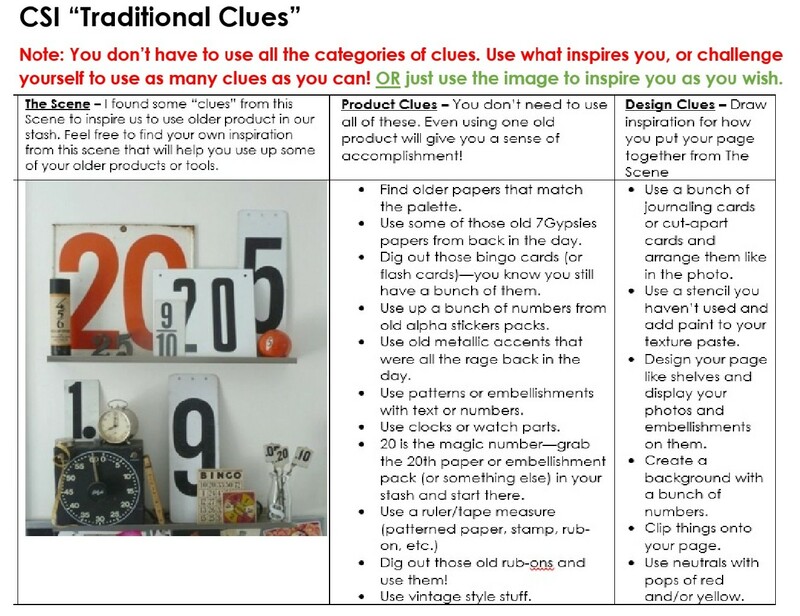 I took inspiration from all the numbers, so I used alot of elements and ephemera that had numbers on - i.e. the rulers, clocks, Bingo Cards, etc. I chose this background paper, specifically because the little lines on it reminded me of those on a watch or a clock. 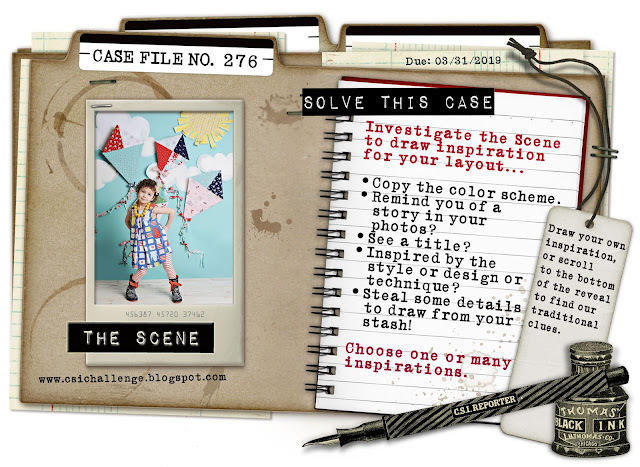 How Nina solved the Cold Case: I really liked the inspiration photo, and tried to mimic it by designing my page with shelves to put a photo and embellishments on. 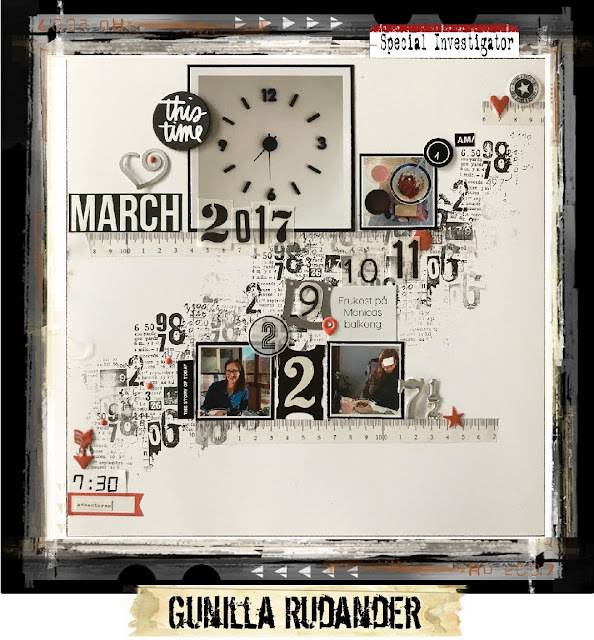 I found an old Tim Holtz die and cut out a wall clock, and the big M is from an unopened pack of Tim Holtz grungeboard alphas from many years ago. The numbers in year 2018 and 02 come from two different sticker packs, and the little owl is punched out from Marha Stewart´s owl punch. I tried to make the page look vintage, as I document the love for vintage clothes. Choose as many or as few as you are inspired to use!